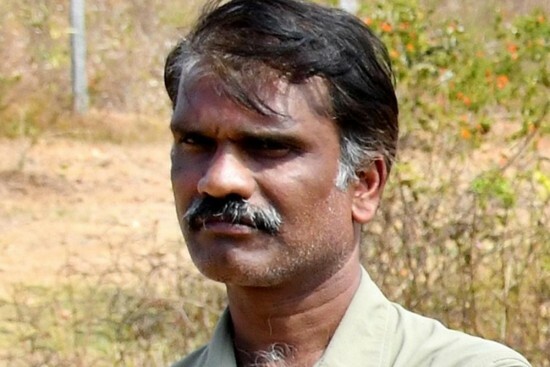 “Saayibre”, the Kannada word for “sir”, rings in my mind whenever I think of S. Manikandan, IFS, who was director of Nagarhole Tiger Reserve till this month. He was my senior in Agri College, but being a junior in service, from the 2001 batch, he used to call me ‘Saayibre’—consciously and with grace, not even with mild sarcasm—even though I’d told him several times not to address me thus. It came without warning...03.03.2018…what a fateful day! He had been invited to the World Wildlife Day celebration in Aranyabhavan, Mysore. If he had submitted to routine and attended that, he would still have been with us. But a forest warbler sings its own tunes, and fate makes its own decisions. Last week, we had given a farewell in Mysore for the principal chief conservator of forests, head of forest force—PCCF (HoFF)—and Manikandan was missing for that too. I called him up and enq­uired. His words were simple and made of pure commitment: “Boss, celebrations may come and go, but if something goes wrong inside the forest...say, a forest fire or something, it’s me that the whole department will question. This year, the PCCF (Wildlife) had especially told me to maintain a zero fire forest area. So it’s better that I stay here in the forest than come to Mysore to attend a function, boss....” One has to picture these words spoken from the lonely outpost of a forest reserve, where officer-level creatures are rare sightings. Such is the man—truly an officer and a gentleman—who is no more now. Here’s how it happened. On March 1, there was a fire in DB Kuppe, one of his ranges. The staff had managed to douse the fire. Two days later, he wanted to inspect the spot. He got down from the vehicle and followed them to the spot. It was a narrow forest track and they marched in a single file, seven of them. All the staff, including forest watchers, forest guards, deputy range forest off­icers, his range forest officer, were in front of him. Manikandan was the last in that row of humans. It was a chance proximity, one of the millions of little coincidences the forest throws up every mom­ent. A lone tusker, apparently in musth, was standing quietly in a nearby bush as they went by. It allowed the six to pass through and charged the seventh. Unfortunately, Manikandan was wearing a whitish cream-coloured shirt. The elephant, a colour-blind animal, can only see bright colours...it was piqued into a violent response. Out of shock, Manikandan couldn’t run and instead fell down, making it easy for the elephant to lock him with his tusks and trample upon him. His colleague, ranger Subramanya, one of the six watching in horror, said the entire thing was over within “45 seconds”. After that, the tusker vanished into the trees, sated, as if nothing had happened! For two years till 2015, I was the director of Bhadra Tiger Reserve in Chikmagalur. Those days, Manikandan used to advise me: “Boss, wear khaki or a camouflaged shirt whenever you go inside the forest. Please don’t risk your life, saayibre.” What a cruel irony that he forgot to abide by that same jungle survival code and fell to it. Such are the unforeseeable twists that can assail the lives of even simple human beings, and he certainly was one. Born in 1972, he was just 45, and had four sisters and a brother. Having lost his father long ago, it was his mother who toiled to bring Mani to this level. He did his BSc Agriculture from AC&RI, Madurai, and then got an ICAR fellowship to do his Masters from Pusa, New Delhi. While doing his PhD, he was appointed as a scientist in Indian Wood Science and Technology, Bangalore, which is affiliated to the Indian Council for Forest Research and Education, Dehradun. From there, he wrote the IFS and got selected in 2001, Karnataka cadre. It was a typical trajectory thereafter. He was a probationer in Honnavar, Uttarkannada district, and then served in Madikeri, Bidar and Raichur. He also had three years in the “hottest” mining zone of Bellary as deputy conservator of forests. One aspect from that phase will suffice to show what demarcated him from run-of-the-mill offic­ers. His predecessor was arrested by the CBI and was in prison till he retired! But you could bet on Manikandan getting through without a stain—he was known in the department for being honest, straightforward, down to earth and law-abiding. After a promotion, and a stint as director (IT) in BMTC, he returned to the department in Aranya­bhavan. Since he had done a PG diploma in wildlife management from the Wildlife Institute of India, Dehradun, he naturally wanted to walk on the less tame side: the wildlife division. So, when he was off­ered the director’s post, Nagarhole Tiger Res­erve, he grabbed it without a second thought and joined duty, leaving his family back in Bangalore. Manikandan couldn’t run and fell down. The elephant locked him with his tusks and trampled upon him. Today, Mr Manikandan, IFS, 45, has become a story. One of those who will be spoken of, like the legendary Dietrich Brandis, whose pioneering efforts structured the entire service in the 19th century. Or like the other Karnataka officer who gave up his life for the cause of nature—P. Srinivas, IFS, murdered by brigand Veerappan. In a sense, both killed by wild beasts—one by an elephant hunter and sandalwood smuggler, and the second one by the elephant himself. The two officers were similar. Honest and upr­ight in conduct, lean and lanky in appearance, both aloof, brooding loners, always in the field, not much given to escaping to the comfort of their families or to the social buzz of parties. Always thinking of forests, forests and forests. From that seclusion, Srinivas’s bearded visage was to get a sudden visibility, all over India, in the most horrible context. Veerappan beheaded him in 1991. And now, 27 years later, in the same Karnataka, the other face too has hit the news pages, a grey-haired man who never bothered with dyeing. Mani will be ­spoken of like ­another IFS officer P. Srinivas, who was ­murdered by brigand Veerappan. Of all the services, the Indian Forest Service is theoretically the most vulnerable and prone to accident, since we deal not with the predictable structures of the state, but give over our lives to administering the untameable. Jungle, beast, flora and fauna, all moving to the secret laws of life. In practice, it’s only rare officers like Mani who absorbed all the risk in reality. He was the kind of officer who hardly slept during the fire season—he’d slept for only one-and-half hours on March 1, that too in his official vehicle, and had not spoken to his family for those last three days of his life. A dedicated officer who never swerved, he safeguarded the pristine forests of Bellary, otherwise untold hectares of forest would have been vandalised for mining. But he never yielded to anybody for anything. The government of Karnataka recognised his value and worth, handpicked him and sent him to his last, fateful outing in Nagarhole. He lost his breath there in those jungles. And we gain nothing but humility.